FORT WORTH TX - 3 Apr, 2017 - There are 18 million people in the US that see a doctor every year suffering from one common condition- earwax impaction. Earwax can lead to all kinds of problems and is the number one reason that hearing aids fail to work properly. Biotechnology innovator EOSERA™, Inc., will introduce their revolutionary earwax impaction solution, Earwax MD™, to hearing aid centers and audiologists at the AudiologyNOW! Conference in Indianapolis, Indiana from April 5th -8th, 2017. After decades of unsuccessful attempts by other manufacturers, Fort Worth-based EOSERA is excited to announce that they are the healthcare industry’s first earwax impaction solution to safely and effectively dissolve wax blockage in a single dosage. AudiologyNOW! attendees will be able to find EOSERA at Booth 213. Participants who use the hashtag #EarwaxMDAAA on social media will be entered in a drawing to win an Apple Watch. Dickerson advises patients to ask their local hearing aid centers about the product. Many centers will sell Earwax MD right out of their office. The product will also be available on Amazon in mid-April. 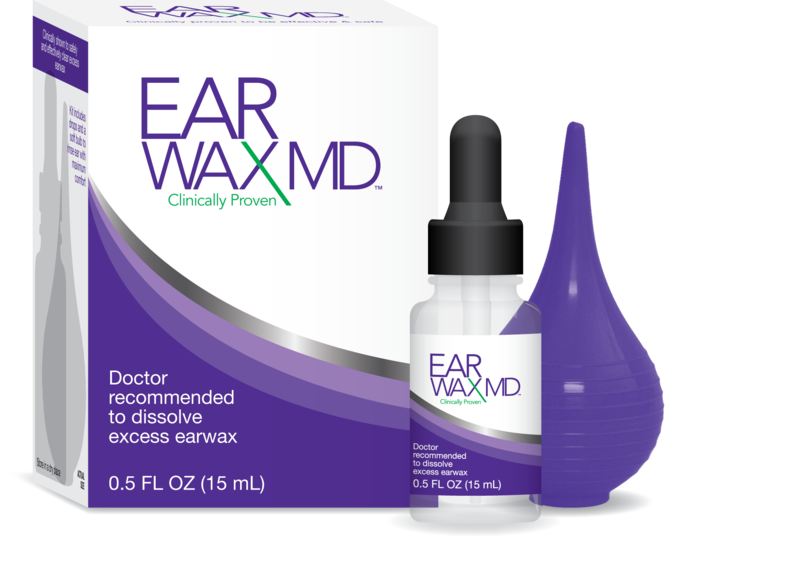 Audiologists and other healthcare professionals can purchase Earwax MD through distributors such as Oaktree, Warner Tech and ADCO. “We look forward to educating audiologists and hearing specialists from companies like Beltone and Connect Hearing, and more, at the conference,” Dickerson said. In a clinical evaluation of Earwax MD, a total of 30 ears with moderate to severe earwax impaction were tested. A single application of Earwax MD (consisting of up to two doses) not only fully cleared the impaction in 86% of test subjects but also reduced symptoms by a remarkable 82%. Common symptoms of earwax impaction include a feeling of fullness, itching, ringing of the ears, and hearing loss. In a separate study, researchers compared Earwax MD to Murine Ear* and Debrox*. The researchers collected samples of human earwax, placed them in test tubes with each solution, and measured the solutions’ effectiveness at dissolving the wax. Using a scale of 0 (no disintegration) to 4 (complete disintegration), wax samples were evaluated and scored at 5, 10, 15, and 30 minutes. At the end of 30 minutes, Earwax MD showed significant disintegration of the wax samples (scored 3.24), while Murine Ear and Debrox barely showed any change in the wax samples (scored 0.12). Clinical data reveals that Earwax MD is a game changer for the treatment of earwax impaction. Eosera also worked with a dermatologist to ensure Earwax MD was safe on skin. Fifty (50) subjects were exposed to Earwax MD in a series of tests designed to evaluate product safety. Skin tests showed absolutely no evidence of irritation. Doctors and patients should feel confident in the safety of Earwax MD. Healthcare professionals can order Earwax MD through Oaktree, Warner Tech, ADCO and other distributors. They may visit www.earwaxmd.com for more information, or send an email to info@eosera.com. Eosera is so excited to meet audiologists and hearing specialists at the upcoming AudiologyNOW! Conference this April 5-8 in Indianapolis. Attendees can find us at Booth 213 ready to give away TWO APPLE WATCHES! Conference goers can post on social media using the hashtag #EarwaxMDAAA to enter a drawing to win one of the watches. But guess what- the competition starts NOW! From now until the conference ends, Eosera will put names in a drawing for every social media post with our hashtag. The second watch can be won by stopping by Booth 213 to meet Dr. Earwax MD who will be LIVE at the conference. “Take a picture with her and post on social media for a chance to win the second Apple Watch. Attendees can also simply stop by and register to win,” added Melanie Morris, Marketing Manager at Eosera, Inc.
EOSERA™, Inc. is a majority woman-owned biotech company committed to developing products that address underserved medical needs. Eosera operates by putting purpose before profits and is proud to be one of the pioneering companies in a movement called Conscious Capitalism. Eosera exists to heal hu­mans through innovative healthcare products. Eosera’s first product, Earwax MD™, is a novel, patent-pending topical drop that uses a dual-action technology to dissolve impacted earwax. It is the first topical earwax treatment innovation in over 50 years. Earwax MD is clinically proven to perform in a single treatment, unlike alternatives that require multiple applications over time. Earwax MD is the only product on the market today that is supported by scientific efficacy. In 2015, Eosera won a $50,000 pitch competition by Comerica Bank, which helped raise the startup’s first round of seed funding reaching $1.2M.